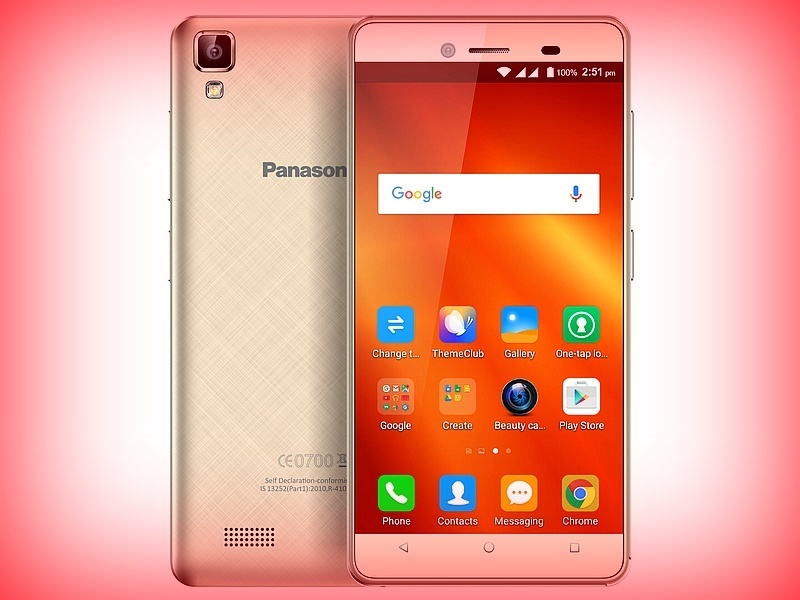 Panasonic expanded its budget smartphone portfolio by launching a new handset dubbed as T50 and it will be available with a price tag of Rs. 4,990. It comes with features such as gesture control. New Delhi: Panasonic T50 comes with 4.5 inch display with 480 X 854 pixel resolution. It weighs 165 grams. The handset is powered by quad core processor whose clock speed is 1.3 GHz. The processor is coupled with 1 GB RAM and the internal storage provided is 8GB. There is facility to expand memory up to 32 GB via micro SD. It has 5 megapixel camera at rear and there is also 2 megapixel. It comes out of the box with Android 5.1 Lollipop operating system. Connectivity features of the device include WiFi, GPS, Bluetooth and 3G. This also features 3.5 mm headphones and dual SIM. There are proximity and accelerometer sensors. Battery under the hood is 1600 mAh capacity. Panasonic T50 is the latest introduction in India and it is app-driven smartphone with 3G connectivity and multi app smoothness, said the business head of Panasonic India, Pankaj Rana. The handset is offered in blue, gold and rose gold color options. It comes with camera modes such as pose mode, watermark, child mode and many more.